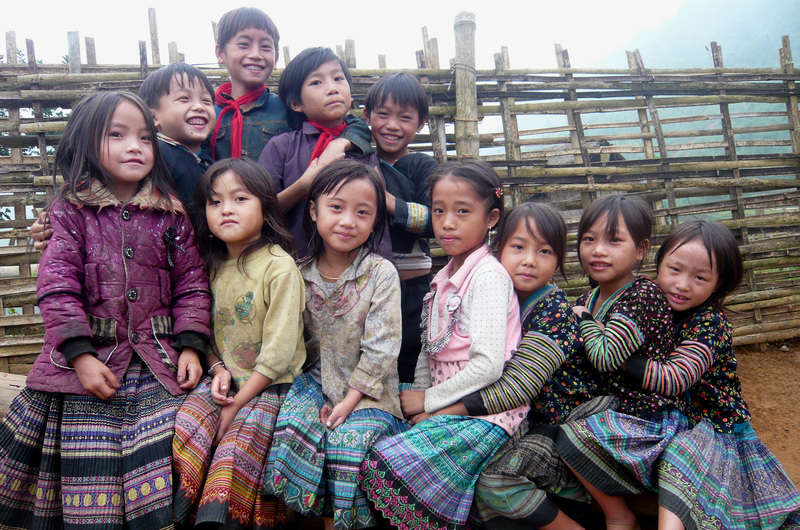 The most disadvantaged group in Vietnam, ethnic minority children have been facing a striking gap in nutrition and other development conditions in comparison with Kinh, the majority group. They may further lag behind unless bold actions are taken to address the inequality they are facing. A research by the University of Oxford in 2013 found that around 52 percent of ethnic minority children aged five to twelve in Vietnam suffered from stunting, compared with 14 percent of their Kinh counterparts. As a result of poverty, less than 10 percent of children from ethnic minority groups have access to dairy products, while up to 54 percent of ethnic majority children do. In addition, 36 percent of ethnic minority children did not have access to safe drinking water in 2013. Government statistics provide a similar overview of ethnic minority children’s nutrition situation. In 2012, between 32 percent and 37 percent of children under five in the Northern Midlands and Mountainous Areas and the Central Highlands – the regions dominated by ethnic minority groups – suffered from stunting, while the prevalence among children in areas dominated by the Kinh majority group stayed at up to 23 percent, according to the National Institute of Nutrition. 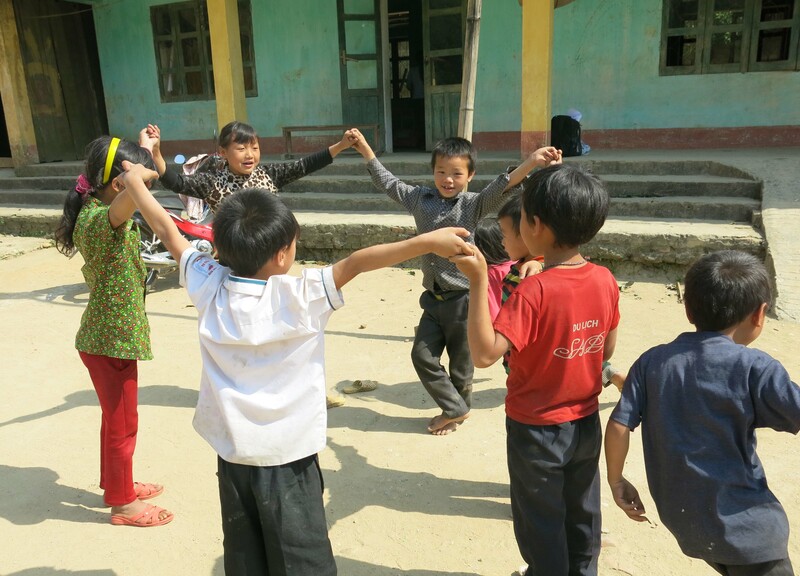 Hmong children during playtime at a primary school in the northern mountainous province of Lao Cai, Vietnam. The nutrition situation of ethnic minority children in Vietnam is in line with the findings of a research by Save the Children, “Unequal portions: Ending malnutrition for every last child”, which raises alarm over the inequality in nutrition that excluded groups of children have been facing and the impacts on their health and development. Save the Children’s evidence shows millions of children are missing out on adequate nutrition because of who they are and where they live. They are discriminated against because of their ethnicity or disability; they are excluded because of their parents’ lack of income or after being forced from their homes. Meanwhile, nations’ progress in tackling malnutrition is falling far behind schedule. 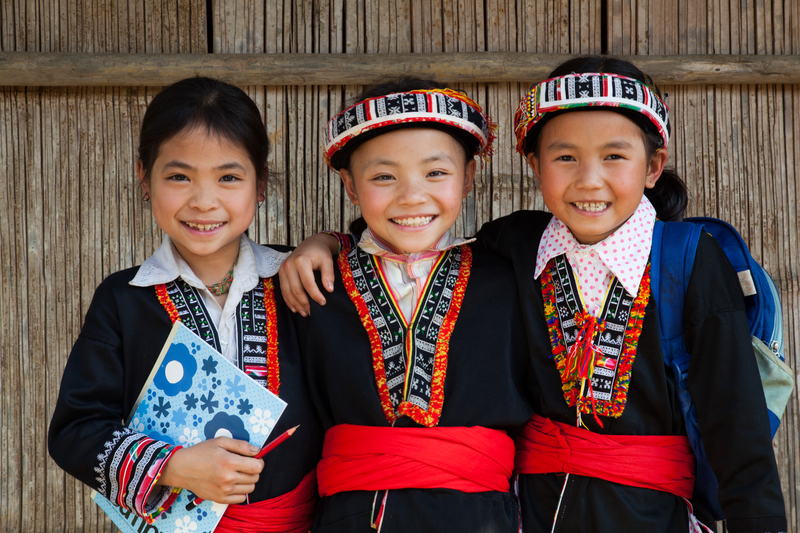 In Vietnam, creating inclusive economic development and reducing inequality would play a crucial role in bridging the gap between ethnic minority children and the majority group. Increased government funds should be allocated to economic development in poorer regions, with further promotion of policies related to land leasing and taxation and efforts to reduce poorer regions’ economic isolation by linking them to other regions with economic corridors. In dealing with malnutrition among ethnic minority children, the focus should be on reducing stunting, especially among the poor in mountainous areas. The government should localise and customise nutrition plans for the ethnic minority-dominated regions, based on malnutrition research of each ethnic minority group and region. It is also important to integrate household food security into child nutrition improvement plans in poor and mountainous areas, supported by efforts to increase awareness and knowledge of nutrition and healthcare among ethnic minority parents and local health workers. Improving child nutrition is not only the healthcare system’s responsibility but also that of other state agencies, such as the agriculture department, the women’s union, and the youth union. Cooperation and advocacy activities at the central level will help to share and scale up the project model and its achievements from the community level to nationwide. Save the Children’s new ‘Unequal Portions’ report and a fully referenced case study on nutrition inequalities in Cambodia can be found here. Bang, 9-year-old student, a beneficiary of the Sponsorship Program. 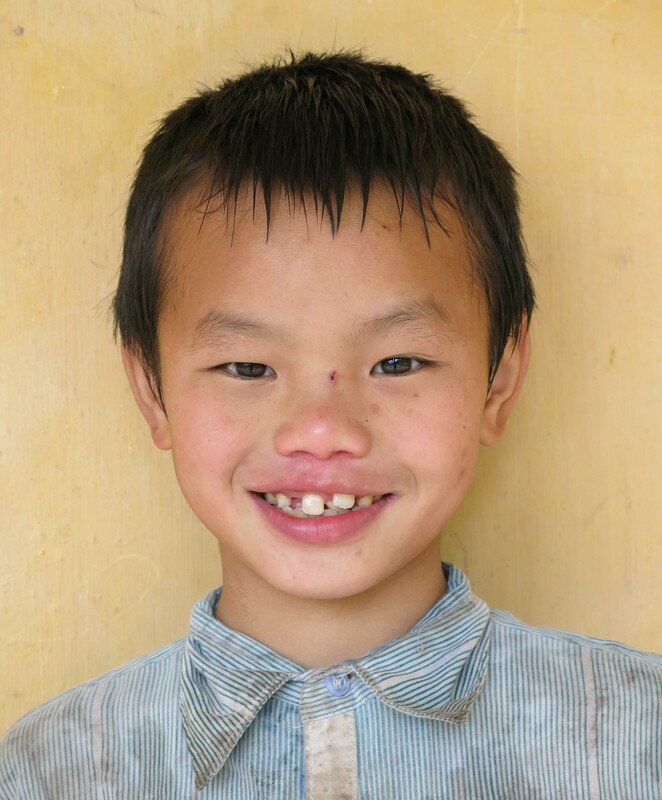 Nine-year-old Bang is one of the child beneficiaries from Save the Children’s Sponsorship Program. The program provides his school with a wide range of facilities and study materials. Last year, his school had a new latrine with financial and technical support from Save the Children. 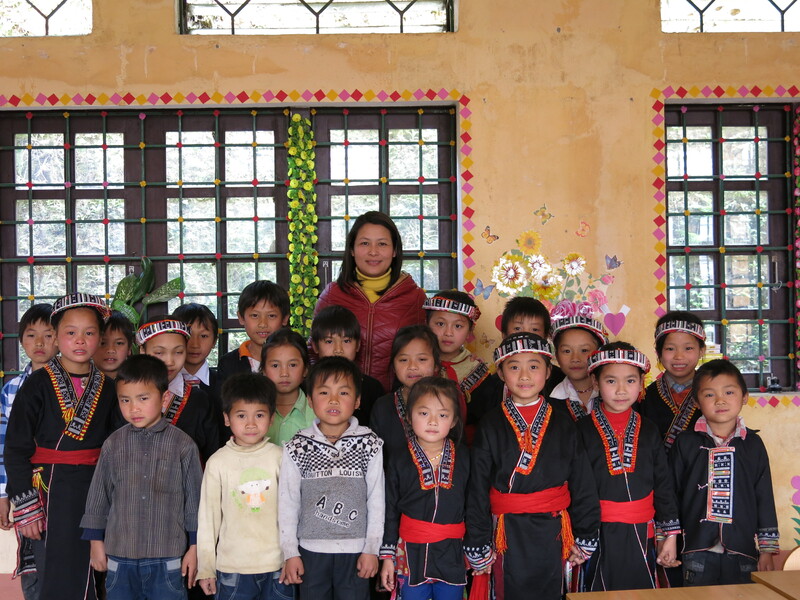 Bang’s school, which is located in a mountainous area in the northern province of Lao Cai, also received books and reference materials from the Sponsorship Program. The boy loves going to school every day. “I enjoy going to school because I can learn new things and play games with my friends,” he said. The boy’s favorite games are cat-and-mouse, finding the leader and soccer. Bang feeding his family’s chicken at home. Bang’s family has five members: his parents, two elder brothers and himself. Bang’s brothers are both in secondary school. After school, they play together. Bang often tells his brothers about what he learns at school that day. “I tell them about how I was taught to brush my teeth, to clean hands and to prevent accidents at home, at school and on the way home,” he said. He was excited to tell visitors about receiving a gift box of hygiene items such as soap, towels, shampoo, combs and another box of foods with peanuts, cooking oil, fried fish, soup base and so on. Growing up in a remote area, Bang always wishes to have a birthday party because he has never had one. The Sponsorship Program plans to continue efforts to promote healthy nutrition and hygiene habits among children and their community. 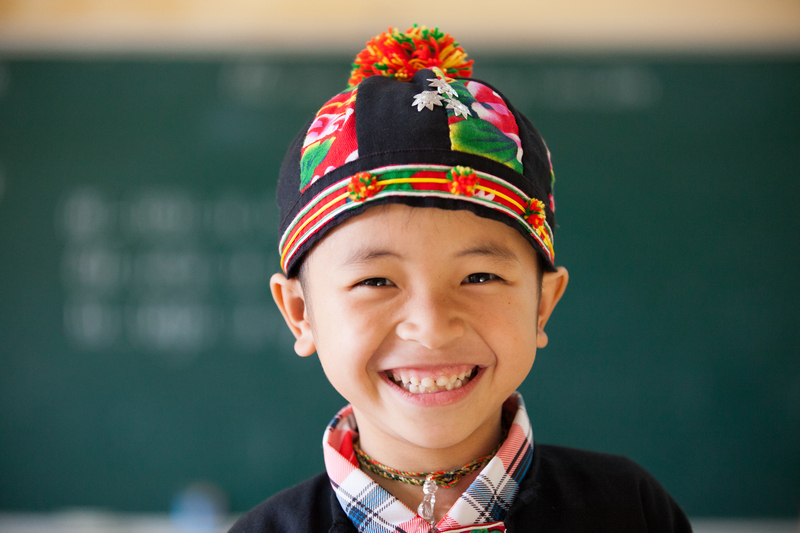 This will make it easier for children like Bang reach their dreams. Bang (center) playing cat-and-mouse with his friends at school. The void and nostalgia struck us at our work table when our eyes glanced at the camera lying in the corner; like a habit, we reached out and turned it on. On the screen there were faces, smiles of the friends miles away in the North West, who came as visitors but left like friends. The trail of memories flashed back at the glorious ceremonies glittering under the sunshine of Go Vap district. Everything had surprised us at its best, and our hearts were pounding immensely, adrenaline kept on rocketing with rapturous applause after each pupils’ sophisticated music performance. Wednesday was a puffy day at IKEA’s soft toy factory, a little break after “too many new things to digest” – Emilie, we had time to reflect on the implications of the previous iWitness visits and made timely revisions to the agenda. Down memory lane again, in the haze of the morning dew, Cu Chi district appeared with its village schools, the atmosphere switched to a more casual state, which had granted us a ticket to our childhood with the indulgence of countryside treats and fun games with the children. “Although the environment diversifies from one place to another ritually, the children remain the same! We witness the same naïve eyes, same cheerful faces, same curiosity, same courage, same creativity, same confidence, and for that reason, our trust in the work to promote Child Protection and Children are the most important people in the world, is once again strengthened!”, confirmed Anna. The very last moments of us sitting together were to walk through the points of notice during the past week. Comments and ideas on how to meticulously prepare for the next iWitness trip were exchanged constructively. The consideration of delivering a social media package was highlighted, we recognized there’s a need for engaging and loyal messages about IKEA Foundation’s contribution as well Save the Children’s work on the ground. “I miss you already!” shared Carin when we were at the hotel, ending the Friday visit as well as the iWitness visit to the Vietnam program. A week flew by so fast, but the memories of the laughs, the sharing, will last for a long time in our minds, an unforgettable week of the witness visit to the Vietnam program, November 9 – 13, 2015. Located in Cu Chi District, the most affected area in Ho Chi Minh City (HCMC) during the Vietnam war’s bombing and mining, and now the poorest neighborhood and destination of many migrant families, Phuoc Thanh Secondary school is simply quaint with its humble look of broken roof, scaling off paint, and falling apart windows. Our visitors’ tasks today were extremely challenging. One task was to compete with the teachers to rescue the contestants who were eliminated from a competition on Child Rights and Child Protection with 100 participating pupils, one-ninth of the school. Another task was to pamper their (and everyone’s) stomach with all the jelly, spring rolls, yoghurt … cooked and sold by the pupils. “I would suggest we have more activities like this, which suit the hobbies and strengths of the students. For example, the “Ring the Bell” competition attracts pupils who love reading like me, while the Food Fair interests more pupils who are into outdoors.”, shared Quoc Huy, class 8A3, as he was touring us around the yard with his great English. Huy is one of the dynamic members of the core team, the target group for piloting the new teaching method, which aims to create more space for the pupils to interact with their peers and their teachers. “I asked the pupils, what the greatest thing about school is, and they said ‘The teachers’, and then I saw another pupil giving his teacher a surprise hug from the back. This best demonstrates the ultimate bond between a teacher and a pupil, which we believe is the major element of a child-friendly learning environment. Children will become confident only when the distance between teachers and pupils is shortened” Marie, Account Manager, Save the Children Sweden, was raising one of the main focuses of the project “Improved Protection and Quality Education for Migrant and other Marginalised and Vulnerable Children in HCMC”. “It is so heartening to see that in this school, children are treated like the most important people in the world, and to play and to talk with these cheerful, smiling little people are the memories to cherish forever!” Dominick expressed her feelings after an eventful afternoon with the children, teachers, and especially parents. “I have been accompanying her in this type of activity four times. 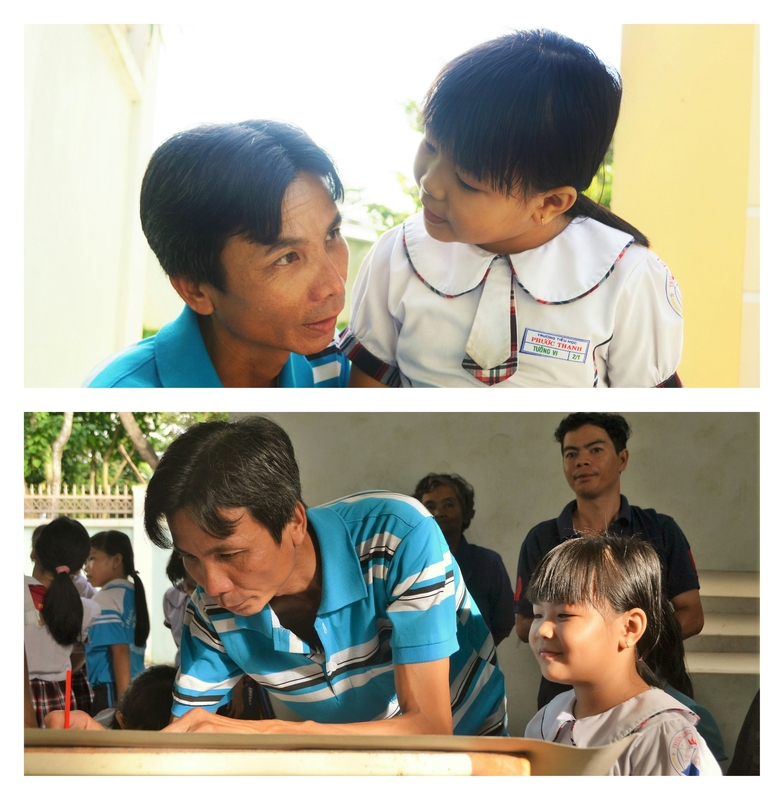 The more I engage in this project, the more I feel safe for my child to go to school, and the more she becomes open to me and my wife,” said Nguyen Van Sen, Tuong Vi’s father. Continuing the success of the previous awareness raising campaign in the community, this time, in connection with the iWitness visit, and the Vietnamese’s Teachers’ day, the Phuoc Thanh Primary school organized a drawing competition on the theme addressing “Non-violence against children”. And then she sang her favorite chorus, like a free birdsong, happiness beamed on both of their face. 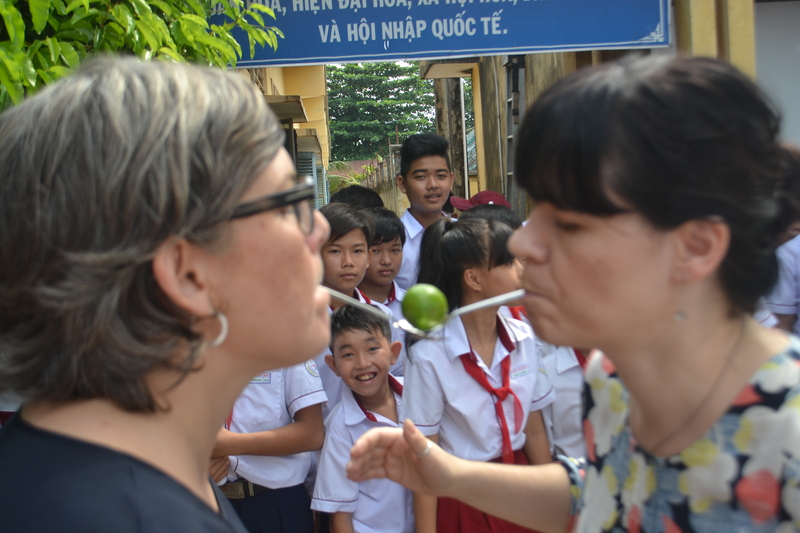 Monday has never been our favorite day, especially when we have to be on the road at 7am, but An Nhon Secondary School really knew how to start our week off right. From afar, our heart beats were already increasing as the drums were played so loudly, and when the bus dropped us in front of the school gate, our breath was taken away. Each and every one of us couldn’t stop ourselves from feeling overwhelmingly proud and honored when walking in between two lines of uniform-suited pupils, waving flags and clapping their hands. “I would have not expected any image like what has happened, it goes far beyond my thought. I feel so proud and honored to be welcomed by everyone today”, said Carin, one member of the IKEA’s coworkers. 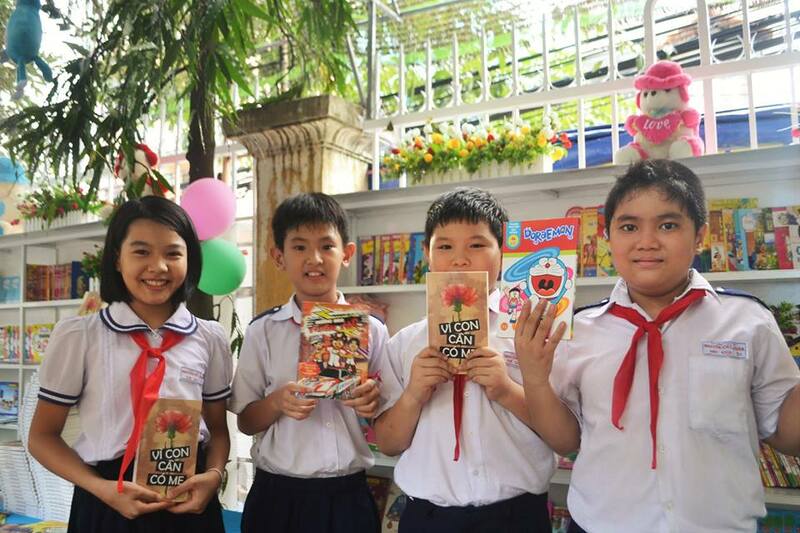 The Quan (2nd from the right) and his friends in the newly built library, which is the pupils’ initiative to replace the old one in Nguyen Viet Xuan Primary School. “This is the perfect location in the school yard for reading, quiet, close to the nature, and a lot of sun shine! I can make friends with books and I can be a librarian in the future! What advice would you give to other people if you are a librarian? Don’t damage books. Don’t tear the pages. It’s not an easy job, you know! What is difficult about being a librarian? After a quick introduction of the visitors and the school hosts, the session started with six wishes from a special guest, Mr. Nguyen Ngoc Ky, who has been tirelessly making an example of overcoming disabilities to be able to write by foot and become who he is today, to pursue dreams in life “Dreaminess; Diligence; Patience; Creativity; Fierce; Luck”. The reaction of 1.483 pupils’ first-hand encountered with a person, whom they have seen only in their textbooks, is truly a gift for us and the visitors. It was a pleasure to learn from the school the impacts the project has made to the teachers through various trainings on Child Rights and Child Protection, and Child Participation, particularly, the teachers are paying considerably more attention to the children’s voices and dreams. “Physical punishment is no longer acceptable in the school, and there is no exception”, affirmed the principal, Nguyen Thi Ngoc Anh. 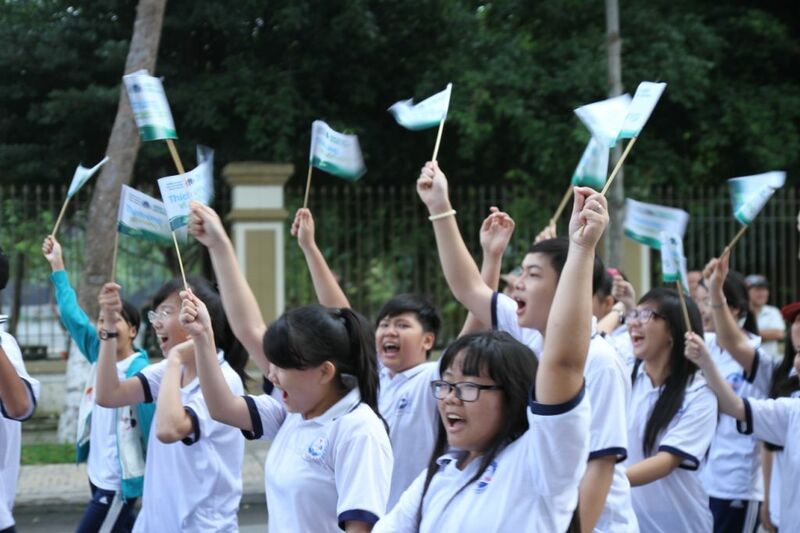 An Nhơn Secondary school is one of selected 16 project schools, where hundreds of the most deprived children who migrating from other provinces to Ho Chi Minh city for economic reason are pupils and are benefiting directly from Save the Children’s project funded by the IKEA Foundation. 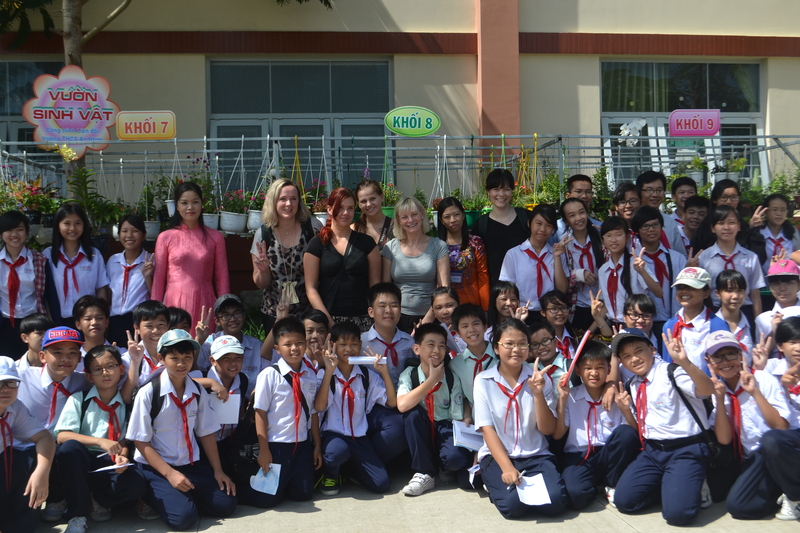 The hot weather of Ho Chi Minh City immediately cooled down, when we joined the pupils in seeding and watering the plant pots under the shadow of their hanging garden, one of the child-led initiatives. 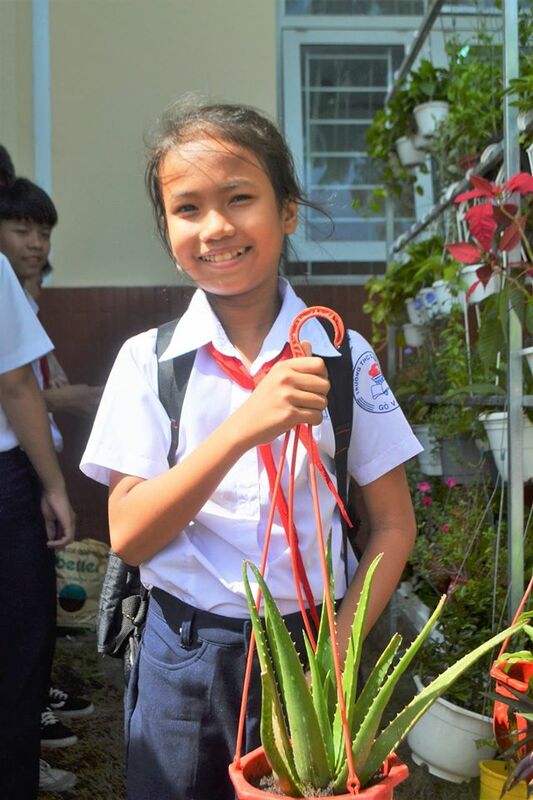 “I choose aloe vera, because its leaves are used as a medicine to heal the damaged skin, so I can help my friends when they are injured”, said My Tien – class 6B1. Before leaving Go Vap district, we had a chance to talk to little The Quan and his friends in the newly built library, which is the pupils’ initiative to replace the old one in Nguyen Viet Xuan Primary School. Eight hours of touching emotions and eye-opening experience have flown, and so have our dreams for “Every child’s right to education”! “Try this! Your planning sounds very fantastic, and this would be outstanding!”, said Oanh, a core-child to her peer, a little competition atmosphere has been aroused gradually among the pupils, and even the teachers from the selected project schools, during the preparation meeting for this year iWitness visit. 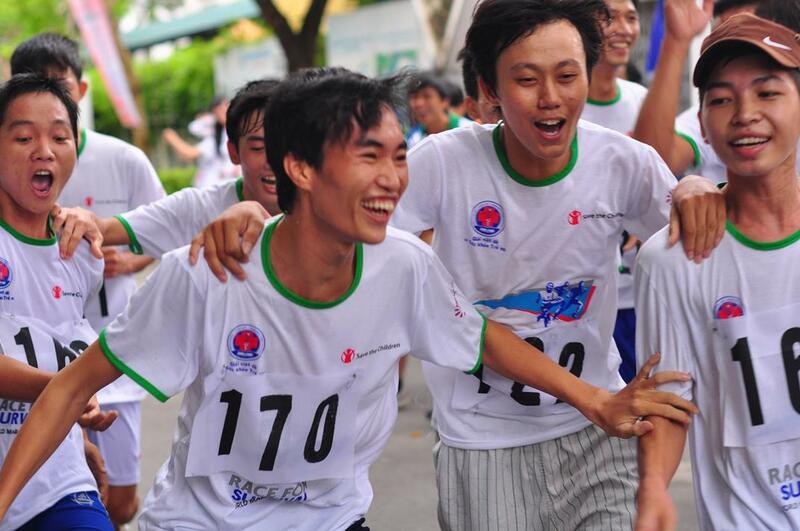 To the implementing team, and our local partners, this annual activity is truly a great event to showcase the breakthroughs we have achieved, and to express our appreciation to the ‪#‎IKEAFoundation‬ contribution to the project Improved Protection and Quality Education for Migrant and other Marginalised and Vulnerable Children in Ho Chi Minh City. Since the official announcement of the visit has been sent, it has become a mutual motivation among the stakeholders and the children, everyone is so willing to pay extra efforts with the only hope to best represent their sketched pupil-led projects. In addition to the regular sessions, teachers and students of the Soft toy for Education/IKEA Foundation-funded project have started buzzing with rehearsals, trainings, and trials to lay the groundwork for the field trip. Our (SCI) project staff attended their discussions to provide technical assistance, and each time these arch smiles would get us to answer a different bunch questions about every activity they could think of. Just by looking at their sparkling eyes, we can clearly see their excitement being triggered while we tell them about the opportunities for introducing their own initiative to the visitors. “Don’t you see our green ‘Babylon garden’ up there? I can’t wait to show it to the visitors!” said Hien (middle of the photo), a little girl who is an active core child of the primary school Phuoc Hiep. The tentative schedule of the visit has been submitted and approved by the local authorities. By now, everything is on track and we’re ready to take the iWitness ambassadors to the project schools, where they will first encounter the children for whom they have sold the toys, they also will join hands with them to realize their ideal child-friendly school. Due to the constraints of timing, we would regretfully have to spare Business Associations for another visit, and focus our resources on an exciting week with the children benefiting from this project, which is hopefully full of surprising and joyful moments. 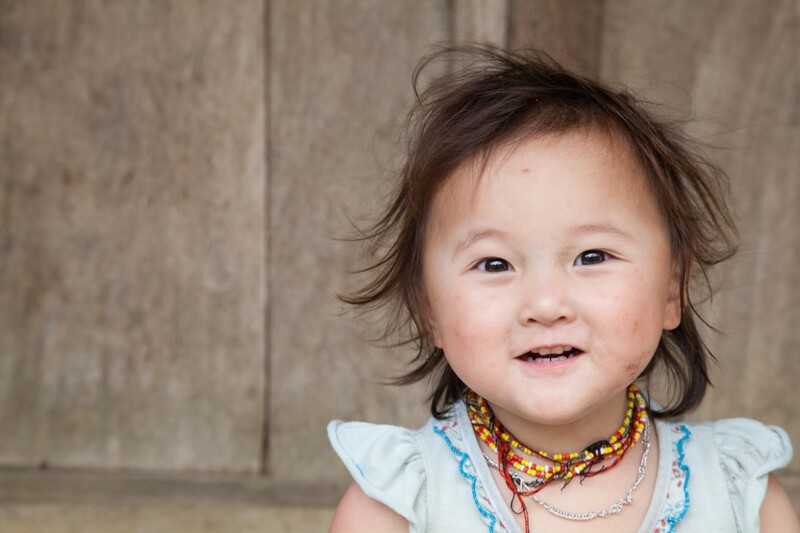 The children born into ethnic minority groups are three times likely to die than those of Kinh majority group. There are many factors that cause the higher mortality rate among children under five in ethnic minority groups. Among them is the lack of trained doctors and health workers for mothers and children in remote mountainous communes. Last week, Save the Children helped train 21 doctors and nurses from three provinces of Yen Bai, Dac Lac and Ca Mau to improve the quality and consistent care for mothers and children. This a week trainer training aims to popularize the new standard of health care at all district, commune and village levels. This is a part of Save the Children maternal and child care programme that has supported 8 provinces to improve maternal and child care services through the use of hospital-to-household care continuum model since 2005. “I see that this training course meets our desired effect. Especially, the practising trip helped us understand theory much better and faster” Tran Nguyet Hoang, a doctor from Ca Mau Province said. “All of us were very excited to apply the knowledge we have learned to real work, and share useful experience to our colleagues” Tran Van Quang – a doctor from Yen Bai Province said. “I like the club because we learn about how to adapt to climate change and have swimming lessons so we can stay safe if there is a flood. 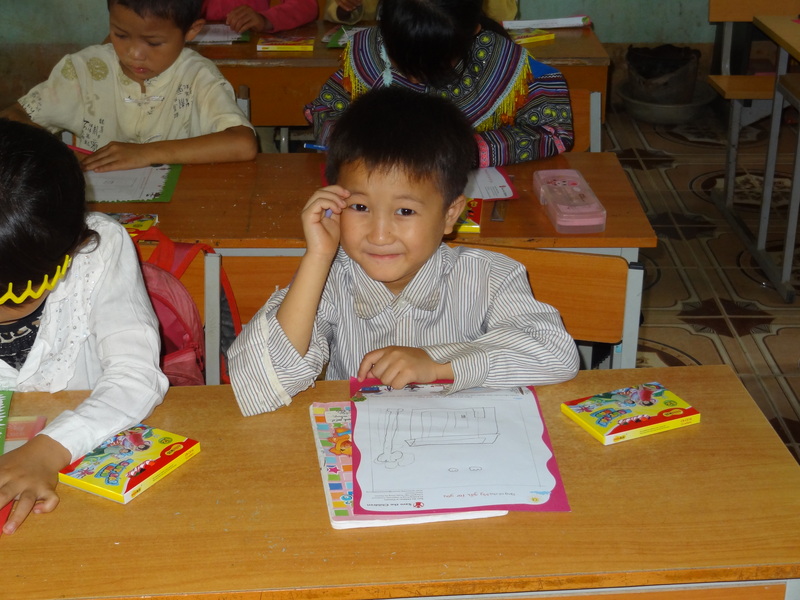 This is my second year in the club.” explains Nguyen Ai Hanh Dung, class 5/2 of Gia Thuan primary school in Tien Giang. Children’s club meetings are held monthly or bimonthly in both the community, targeting out of school and vulnerable children, and in schools. 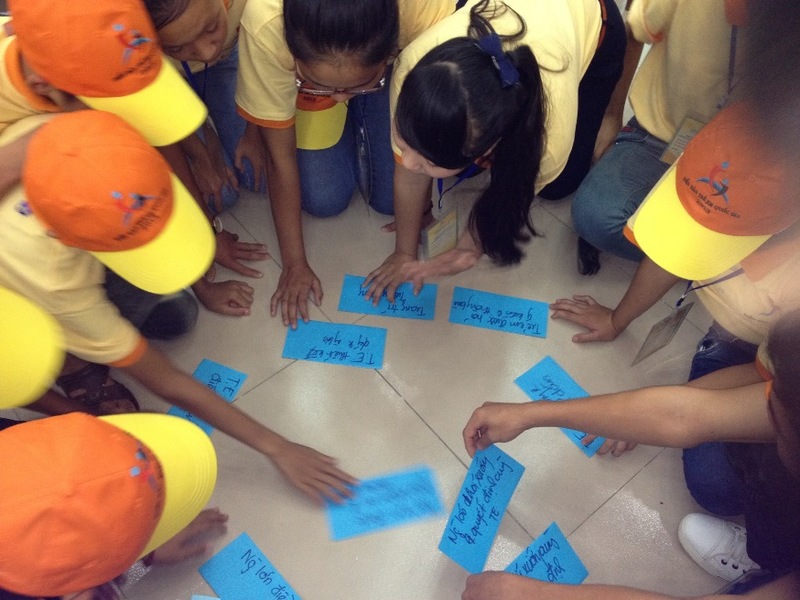 These child-led sessions encourage all children to work together on climate change awareness raising and to become agents of change in the classroom, school and community. 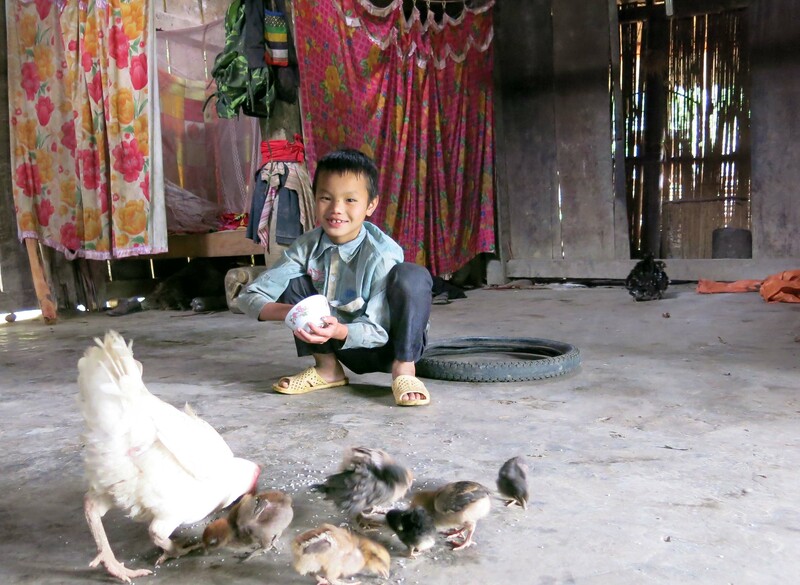 To promote child-led knowledge sharing and build resilience of families to cope with climate change , children in Tieng Giang are also participating in a household energy and water saving campaign. After collecting their home electricity and water bills and examining their family’s resource consumption, children are taught resource saving actions like turning off lights and electrical equipment, ensuring water taps are tightly closed and re-using water. Children share their learning’s with their families and put knowledge into practice within their own homes. Each subsequent month children analyse their bills to monitor progress in reducing their usage. In the first three months of this project over 8.4 million Vietnam Dong (AU$514) was saved across participating communities; a huge saving for families and the environment, achieved by children. Furthermore, it is hoped that the knowledge and skills children have gained during this action campaign will remain with them for life, by saving resources and money children are learning to building the capacity of households to cope with unforeseen impacts of climate change. The children’s club and home assessment are part of a broader Save the Children’s “Child -Centered Climate Resilience” in Tien Giang Province which aims to support children and their communities to manage the impacts of climate variability and to increase the government body’s responsibility in meeting the needs of vulnerable children and communities. 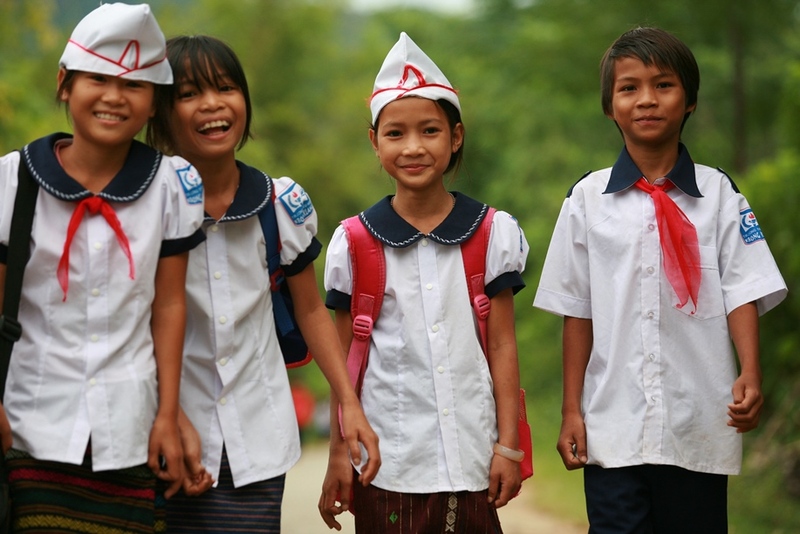 Save the Children and Prudential Vietnam yesterday launched a programme in partnership to support communities in disaster-affected areas of Dien Bien, Hai Phong and Tien Giang. This three- year programme aims to increase the disaster preparedness and resilience of 6,000 vulnerable children and 30,000 community members. 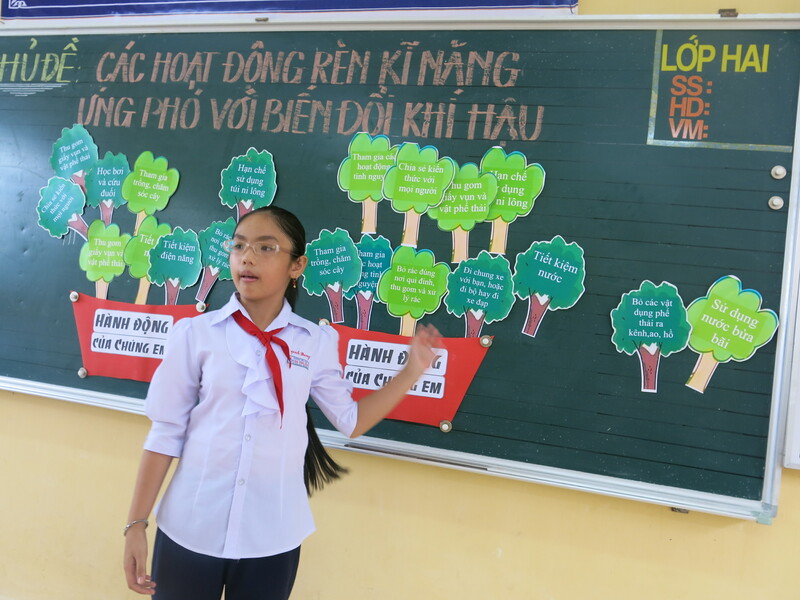 The Disaster Risk Reduction (DRR) in Vietnam project aims to improve the safety of 12 schools, reducing the risk and impacts of disasters, through training for teachers and children on disaster preparedness and methods to reduce the consequences of disasters. The project will also support communities to organise disaster prevention drills and develop plans for better resilience, as well as advocating for the use of risk reduction education in communities and schools. The project is funded by Prudence Foundation and implemented by Save the Children in coordination with the Ministry of Education and provincial centres for flood and storm control from 2015 to 2017. Every year, two million people are estimated to be affected by the frequent storms and typhoons that hit Vietnam. The majority of them are children who are living in high risk areas. In 2013, the country was hit by 13 storms including two devastating typhoons: Nari and Wutip which caused the death of 87 people and an estimated US$275 million of damages. Save the Children’s Country Director Gunnar Andersen said: “Save the Children has 20 years of experience in emergency response and disaster risk reduction in Vietnam. Children are always the most vulnerable during emergencies and Save the Children works to ensure they are safe and protected”. 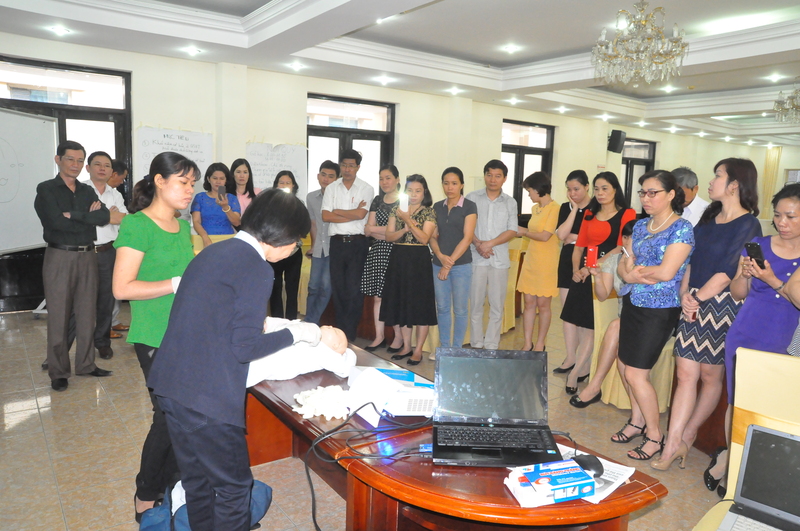 Prudence Foundation has been supporting DRR programmes in Vietnam since 2012. In collaboration with Save the Children, the Foundation has previously funded a project to increase awareness of disaster risk reduction and the possible negative impacts of climate change for children and community members in disaster prone locations in two Mekong River Delta provinces of Dong Thap and Tien Giang from 2013-2014. One of the most rewarding bonuses in my job is that I get to see what impact our programme have made on children. I have witnessed the interaction between a child and his/her sponsor and how this relationship means to the child. It was my second day of working at the project site. 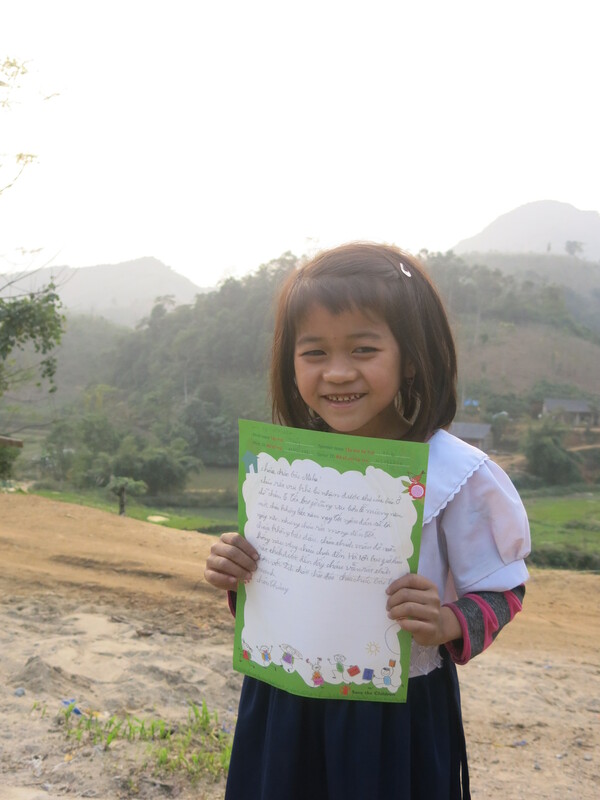 I had to deliver a sponsor’s letter to a six-year old girl – Thuy. She is a very shy and didn’t want to say a word to us as Save the Children’s staff. I have a poor experience of working with children at her age. Thuy speaks only basic Kinh or Vietnamese language and she just started to learn writing. Later, I learned that she was happy to receive a letter from her “big friend” [our private sponsor] from a foreign country but she was a little shy to show her joy of seeing the letter. After that day, I started to be dipped in work other than delivering letters to our sponsored children. Together with local community volunteers, we organize events and activities to improve children’s living and education environment and conduct household visits to deliver letters from our sponsors. I have had more opportunities to see the joy in the eyes of children we are supporting when they received letters from “their friends”. But the girl I met for my first working day was really impressive so that I would like to come back to see her. I just received another letter from Thuy’s sponsor so I asked my supervisor for a chance of delivering the letter for her, and I got it. It took two hours to get to Thuy’s house on a 20km mountain route. Thuy was playing with her friends and became quiet again when she saw me. After I suggested that I could take some photos for her, she was getting a bit more comfortable. When I told her that I was bringing another letter from her sponsor, she was suddenly excited. She took the letter, opened the letter and read it slowly. She became friendly and even asked me to stay with her family. On the way back to the office, I was thinking if there is someone out there who cares for a child’s life, he/she absolutely put a smile on the child’s face. What else could be more important than a child’s smile?